RGS self-regulating heating cables are part of the Thermon SnoTrace™ family of snow and ice melting systems. Designed and approved specifically for roof and gutter applications, RGS withstands direct exposure to harsh environmental conditions. Due to its self-regulating feature, RGS cable will increase power when exposed to ice and snow. When the cable has cleared the area, the power output will decrease to reduce energy consumption. Layout of RGS cable for a roof and gutter snow and ice melting system is easy. The step-by-step design guide leads the reader through determining the heating requirements, selecting the cable spacing and establishing the number of heating circuits and accessories required to complete the SnoTrace RGS system. 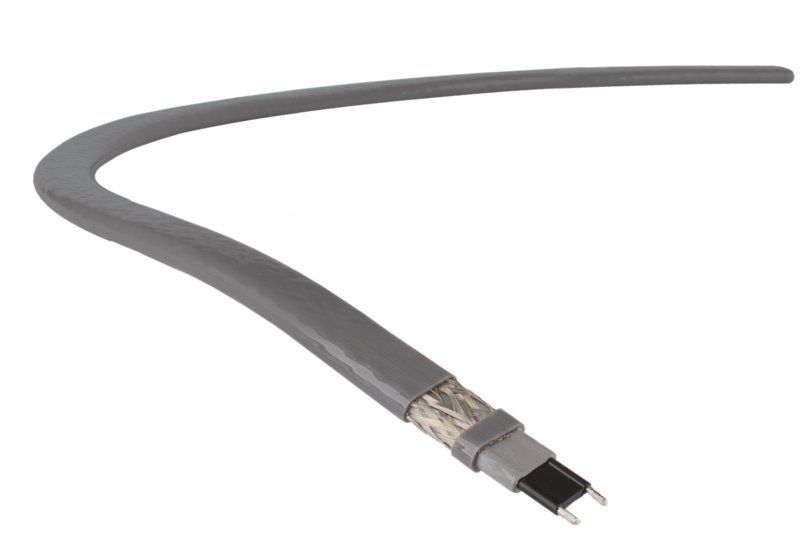 With cut-to-length parallel circuitry, RGS cables do not require field dimensions of the areas requiring protection.